Located in the Rivière-des-Prairies District, a few steps from the large Zotique-St-Jean's park, this splendid house for sale offers a bright living environment that will meet (and exceed!) your expectations. As soon as you enter this house, you will be delighted! The living room and the dining room create a vast open area that is bathed in light. You will quickly notice the splendor of the place at a glance! The dining room will allow you to comfortably entertain several guests! Thanks to the patio door, the rooms are filled with beautiful natural light that streams into the spacious, making the area fill warm and bright. What more could you ask for? You will be thrilled to cook fine cuisine in such a spacious kitchen! Many cabinets that rise up to the ceiling, a granite worktop, and a practical island with a lunch counter are just some of the fine features you’ll find in this dream kitchen. Everything is here for you to easily prepare meals for your family and friends… Such luxury! You will also find on the ground floor a nice bathroom and an additional room that you can transform according to your needs (office space, bedroom, playroom; it’s up to you!). Upstairs, the master bedroom has a large walk-in closet (6.1 ’x 11’) and en-suite bathroom with independent ceramic bath and shower. Comfort is assured! Your bathroom will quickly become a favorite place to relax after a busy week! Also upstairs, you will find a second good-sized bedroom and a full bathroom. As for the basement, let your imagination run wild as you decide how to transform it to your liking. A thousand and one possibilities are available to you! A spacious family room (ideal for family movie nights), two additional bedrooms, and a bathroom/laundry room can be arranged. Space for all members of the family! Located in a quiet neighborhood in the Rivière-des-Prairies-Pointe-aux-Trembles Borough, this beautiful home for sale brings together all the qualities necessary to offer all members of your family a place where they can flourish. Close to several elementary schools, a secondary school, and surrounded by many green spaces, this completely renovated house will undoubtedly meet your needs. You can also take public transport with ease. Numerous bus stops are in close proximity as well as Rivière-des-Prairies train station, from where you can take the train to downtown Montreal (less than 40 minutes! ), and where a parking area with over 200 spaces is also available. 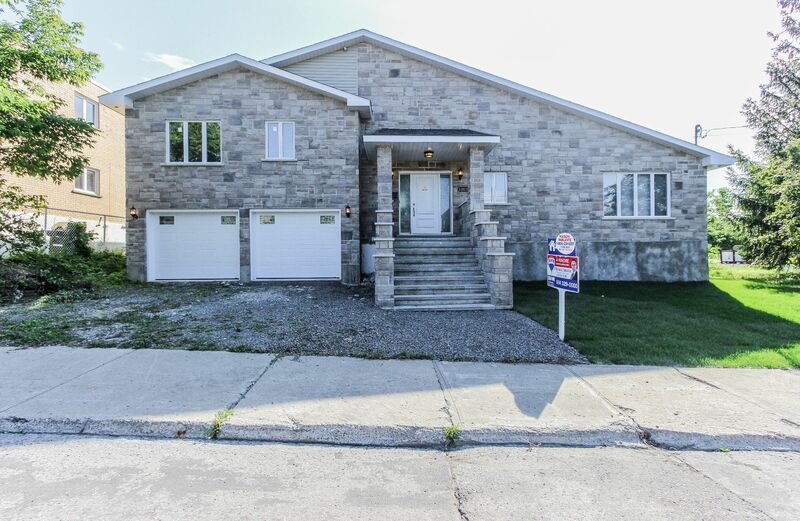 This superb property, located at 12630, 58th Avenue in Rivière-des-Prairies-Pointe-aux-Trembles Borough, Montreal, can become yours for $589,000. If you are looking for an exemplary living environment for the fulfillment of all, see the detailed sheet (MLS: 25948065) ​​and contact the real estate broker Stefano Lombardi, real estate broker RE/MAX Alliance. You will fall under the spell of this renovated home! Do not miss this golden opportunity!